Is "fridging" going the way of "the Mary Sue"? There are, at the very least, spoilers up through the current season of Supernatural herein. That having been noted—"fridging"—quite clearly the storytelling act of killing a female character in order to give a male character angst and motivation for the next set of events in*his* story. Her story is not relevant here—she is just a trigger. Jessica Moore? Total and absolute fridging. We don't know anyone yet, but as much as we know of her she's the perfect girlfriend for Sam. The right height for Gigantor, loving, affectionate, supportive—what could possibly go wrong? Oh, wait—we need to get Sam out on the road, not home cuddling with a perfect leggy blonde. So, boom! Dead before the end of the first episode—one in which she has about three scenes. Why do I bring her up before Mary, when Mary was killed before the title credits and is clearly what sent John off the deep end and into a life on the fringes raising two kids as warriors? Well, as of episode one, Mary was clearly a fridging. No question about that. But at some point in the series, Kripke decided she needed backstory and motivation of her own. So, with hindsight, I remove the fridging label. In fact, there's a genderswap fridging here, as she reacts to the death of her father and makes a rather drastic decision in the light of it. But once her "origin story" is told, Mary is an unwitting accomplice to her own murder, and she is part of the story, no longer just a catalyst in a white dress. 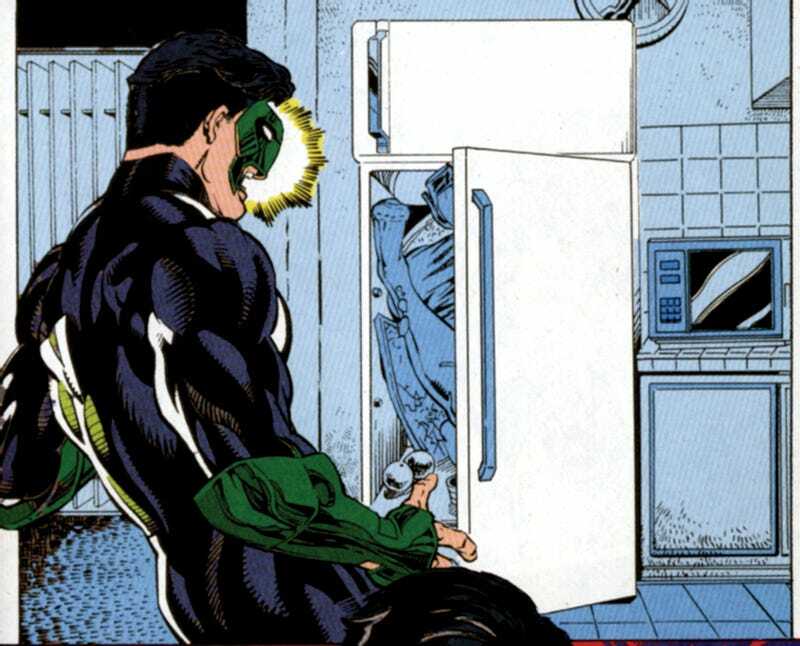 I don't expect Jessica will ever get out of the fridge, but I am very glad that Mary was given such agency in the same moment as she was revealed to be as much a cog in the Heaven/Hell wars as any of the men she loved. She went from a cipher to a cool and engaging story, and heartbreak index of her story goes off the charts. SARAH BLAKE WAS NOT FRIDGED. Seriously, guys. What is Sam doing differently because Sarah died? We do get a speech where he wonders if giving up is the best option, but did you really fall for that? No. Neither did I. Sarah Blake didn't die because she had either a romantic or proto-romantic relationship with the male leads. She died because they saved her—she died for precisely the same reason that Tommy and Jenny died, and unless Dean was having a down low threeway, those are "merely" deaths. Supernatural is a show about reacting to death, as much as it is many things—it's about what loss and/or the threat of loss drives you to do. Within that story, there is room for fridging (you will live on my fanart, Jessica) and there is also room for people dying and the people around them reacting to it. I would like to see any meta that claims Sarah was fridged also deem Tommy and Jenny as fridged. What is the rationale for one and not the others? Do you remember when the term "Mary Sue" meant something? And that something might have been of value in a discussion of fiction? I don't want to lose "fridging" the same way. It's, in general, a bad thing—it speaks of a lack of depth to characters, and when it's so extremely gendered, it points to a clear dearth of women having agency and achievements in narrative. But if you water it down to mean "that time a chick a guy thought was attractive died, and the guy wasn't a total douche and responded to her death" what value is left?